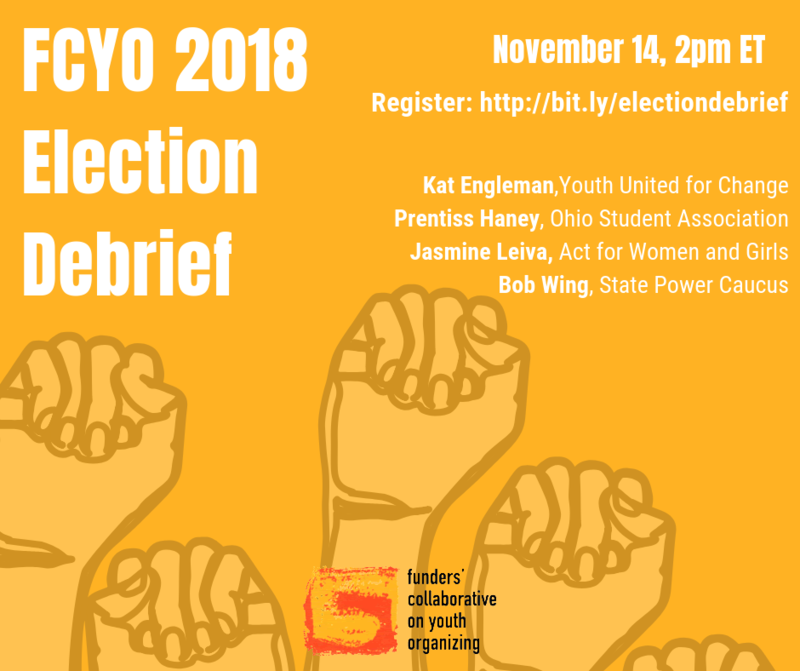 This interactive webinar, held on November 14, 2018, brought together people from across the national youth organizing field to discuss major takeaways from the 2018 midterm elections. This exciting intergenerational panel offered analysis of the election, shared how their organizations are developing young people to lead electoral strategies, and answered questions from participants. 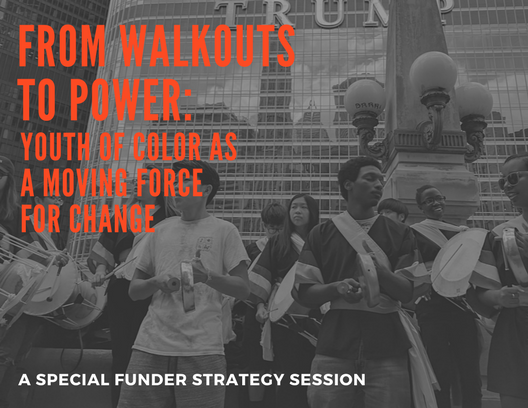 On July 9, 2018 FCYO held a special funder strategy session focused on young people of color leading movements for safety and justice. Attendees got to hear lessons learned from young people of color who have been on the forefront of this movement, connecting the symptoms of violence to root causes of injustice. In this second webinar, FCYO and Global Action Project, a social justice youth media organization, lifted up impactful community-based transformative media organizing, in relation to campaigns that seek to expand the narrative framework around "sanctuary" and build local community defense infrastructure. On May 9th, 2017 FCYO held the first of a two-part webinar series on Sanctuary and Transformative Media Organizing. The first webinar focuses on how youth organizers are defining sanctuary and organizing around it in cities, neighborhoods, and schools. 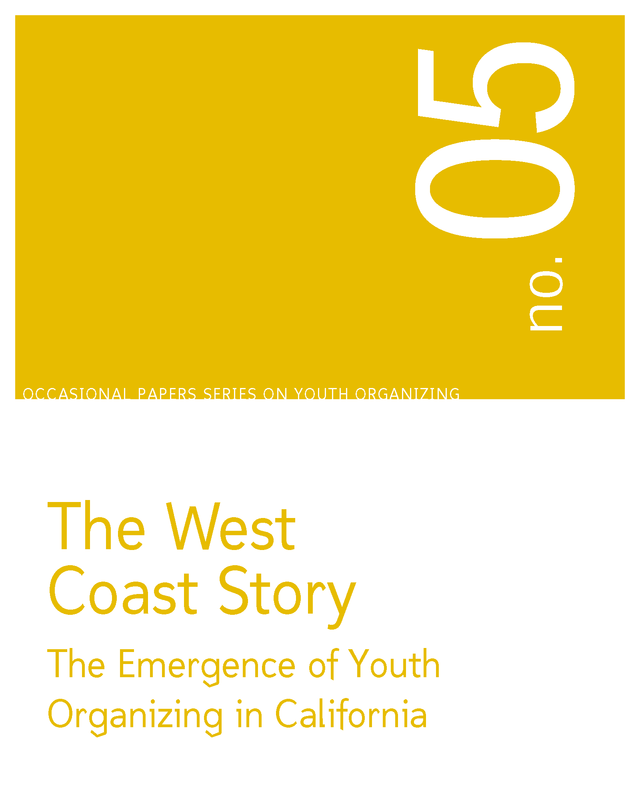 Published in 2004, OPS 5 analyzes the emergence and practice of youth organizing amidst California's bellwether politics and culture, and the immense geopolitical and cultural diversity of its subregions - Los Angeles, San Diego, the San Francisco Bay Area, and the Central Valley. 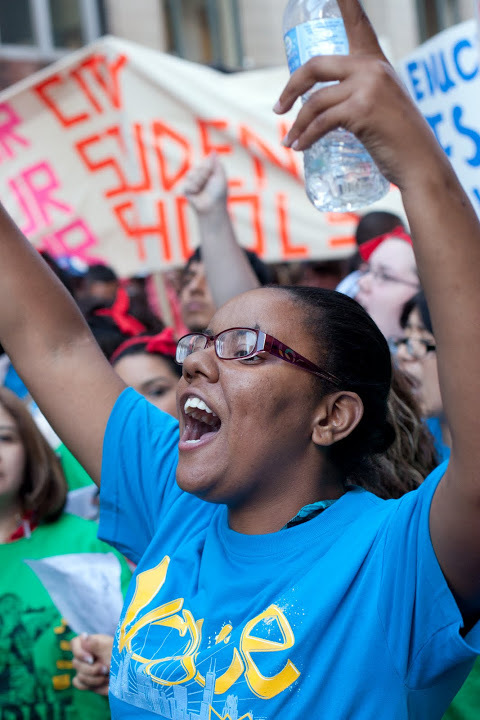 OPS 5 was one of five installments that detailed the development of youth organizing in specific regions across the United States. Whether a “region” has a coherent identity is debatable. Still, this place-based dissection brings us closer to work that by definition is grounded in and led by communities. 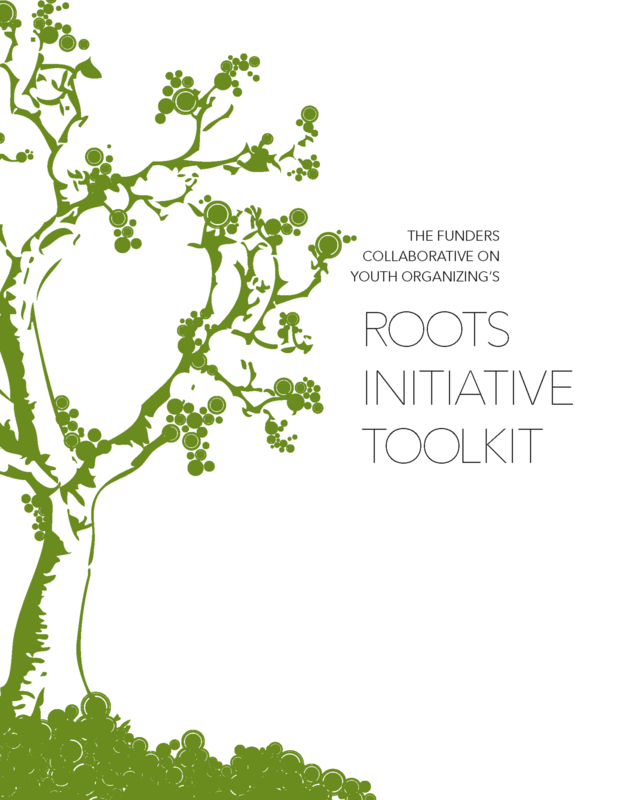 From 2003-2006, the FCYO implemented and coordinated the Roots Initiative, a grantmaking and capacity-building project involving ten dynamic Youth Organizing groups from around the country. Overall, we hoped to develop, analyze and take action on information both macro and micro: macro considerations of the state of youth organizing practice, generally, as illustrated by the ten groups; and micro, focusing on ways to address specific capacity-building challenges faced by individual groups. This Toolkit provides, additionally, various suites of tools (in the form of templates, worksheets and exercises) that we hope are useful to organizations undertaking a broad range of organizational development efforts. On November 15, 2016, the Funders' Collaborative on Youth Organizing (FCYO) held the tenth webinar as part of our Youth Community Organizing Resource Exchange (Youth CORE), a set of projects that seeks to build a more powerful and well-connected youth organizing field. This webinar is titled Invest/Divest:A Post Election Strategy to End Mass Incarceration and Fund Our Vision. On September 29th, 2016 FCYO held the ninth Youth CORE webinar in partnership with the Grassroots Institute for Fundraising Training (GIFT). This webinar featured panelists from the Philadelphia Student Union, Survivors Organizing for Liberation and Casa de Paz & Volleyball Internacional discussing reducing reliance on foundation funding and building independent financial power. On August 30, 2016 FCYO held an information webinar on our programs launching in the 2016-2017 fiscal year, including our Moment to Movement Fund application process, Learning & Exchange Fund, Healthy Communities III, Capacity Building, Youth Organizing Landscape Map and more. View the recording here!